Truth be told, this was not my year for blogging. 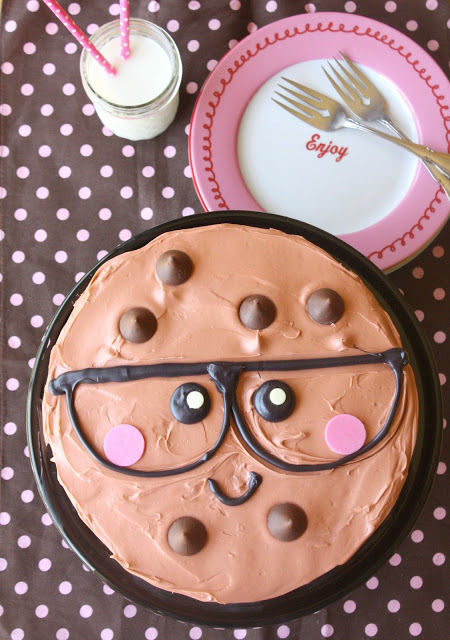 I made this cookie cake in celebration of my blog's 6th birthday! It was a lot of fun to make, and eat! 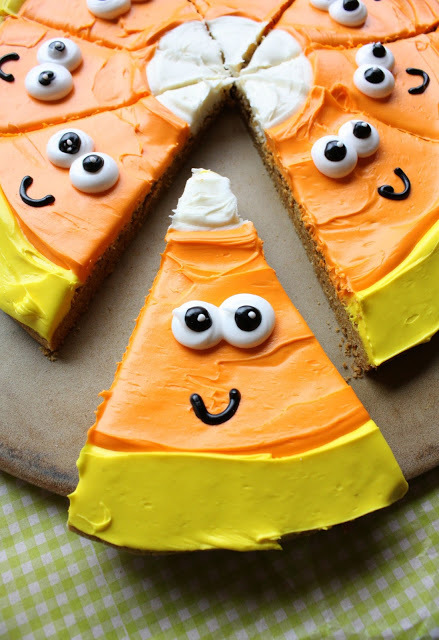 I have a soft spot for cookies that look like other food items, and especially if they have sweet faces, so I'm kind of smitten over these pumpkin pie cookies! Though I had seen (and even made) "one smart cookie" cookies, I had never seen a cake version. I thought it would be the perfect treat to celebrate the end of the school year. I ended up loving it, and the fact that it was so easy to decorate made me love it even more! You will see another variation in 2016! 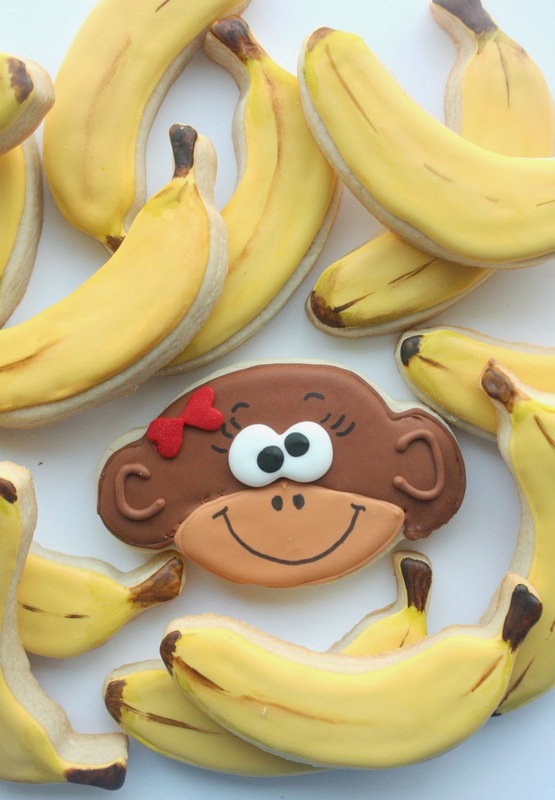 The monkeys turned out pretty adorable, but I was tickled with how realistic the bananas looked (simple thrills of cookie decorating:))! It's amazing what a little "painting" with food coloring will do for details. My very talented friend, Haniela, invited me to do a bunny collaboration with her in the spring. We each happened to choose a cake, though mine (as you can see) also involved cookies. 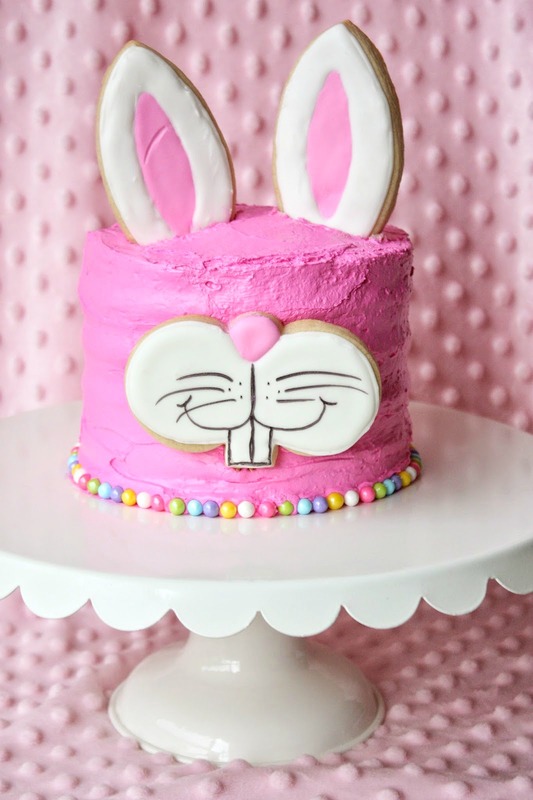 I thought it would be the perfect opportunity to use the new cookie cutters (ears-Bobbi's Cookies & Cutters, and bunny muzzle-Whisked Away Cutters) created from my own designs. Exciting! I knew it would easily translate into a pizza-size cookie, and be a lot easier. but the gingham stencil and color sprays really helped speed up the process! I was very satisfied when they were all done. 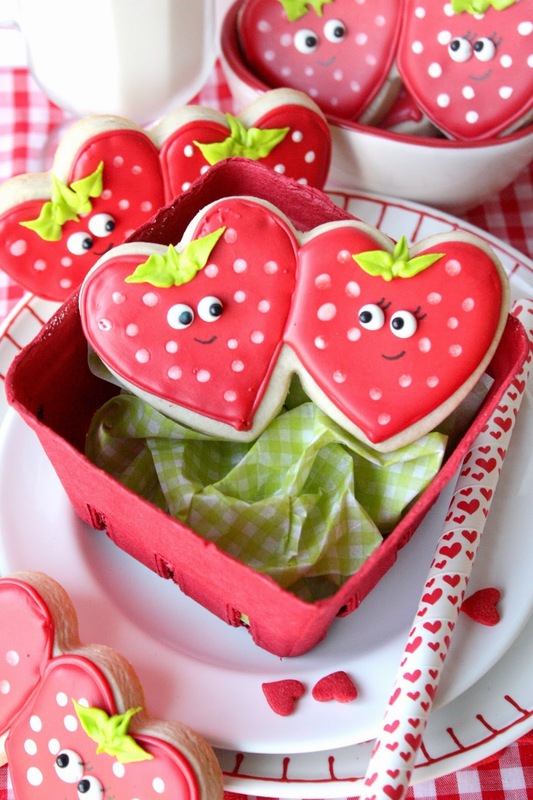 I thought it would be fun to make strawberries instead of the obvious double hearts with this cutter. They were simple to do, and turned out cute. 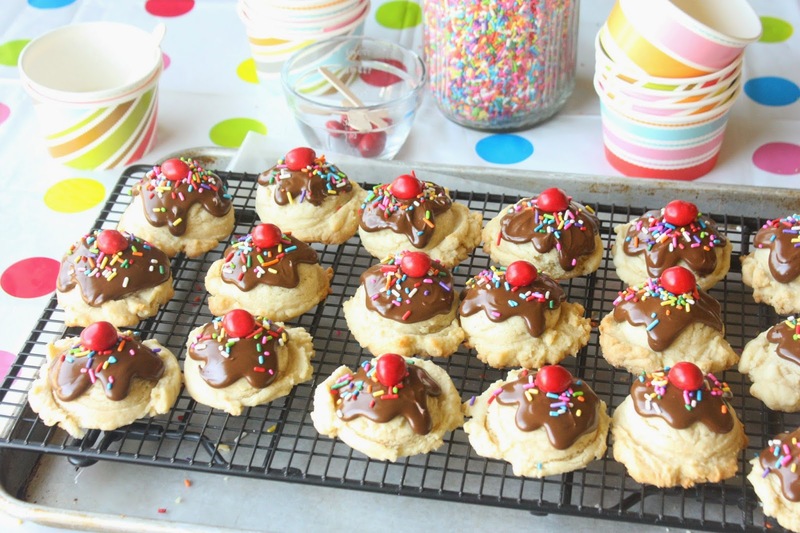 Speaking of "simple and cute", mini melting snowmen cookies definitely fit the bill! 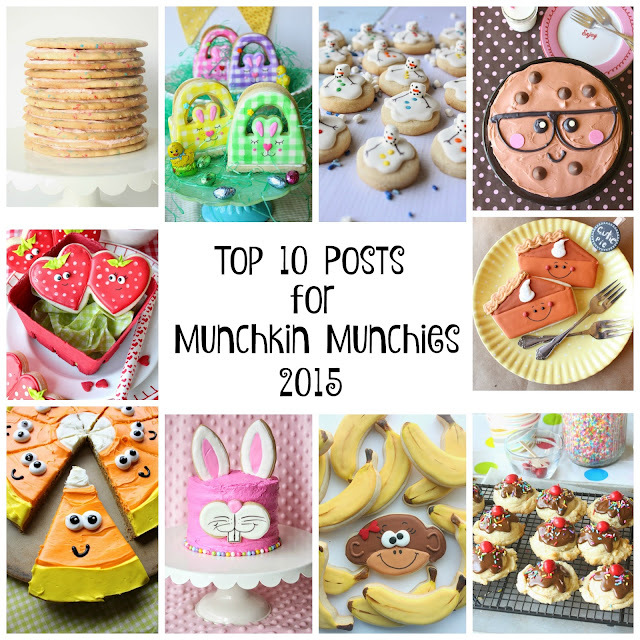 Thank you so much for your support with Munchkin Munchies!!! Thanks Karen! The baskets are a favorite of mine too! ok i really think you should have a top 25 which...oops! that kinda takes care of 2015 but i can't help it since i think EVERYTHING you make is tops on the cuteness level! i can't hardly wait to see what you have for 2016 Sue! :>D! Thanks Lisa, You're so sweet! I look forward to your wonderful creations in 2016, Sue. Thank you, Angie! Happy New Year! You may have only posted 25 times, but they were all wonderful and your top ten are TOPS! :) Happy New Year! That's what I love about blogging - you can go crazy, you can slow down, or you can even take a break and everyone understands! Just enjoy what you do! I love everything posted here and the fact that you chose to do your top ten for 2015 based on the amount of blog traffic. Great idea and very cute cookies. 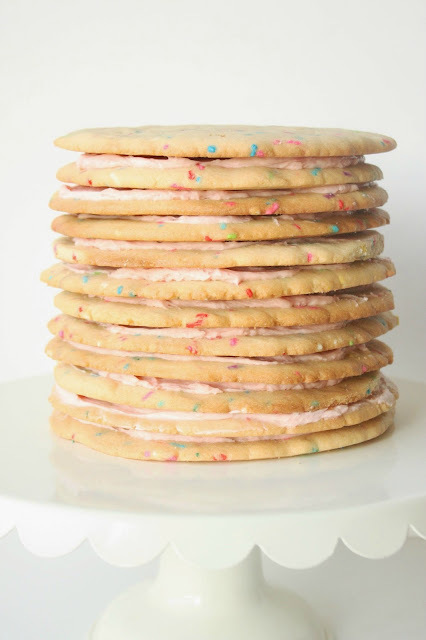 Intrigued and in love with your 3D ice cream scoop cookies! The pink bunny is soo cute!